A scooter fitted with these headlights becomes pure EVIL! 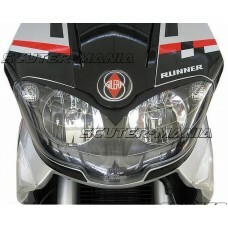 Sets off the design of the Runner built af..
Double-effect headlights with clear glass. 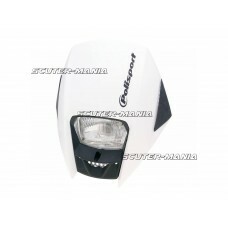 Both headlights have 55W and are extremely good in the da.. 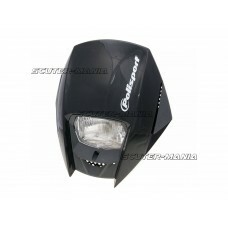 Double optic black headlight mask for Derbi Senda original headlights with e-marking. Supplied as sh.. 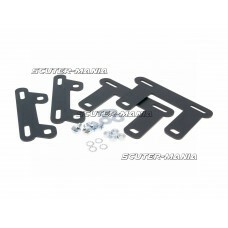 Mounting kit for Polisport headlight cowls. 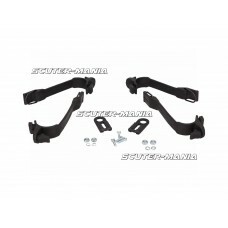 Increases the distance between the cowl and fork between.. 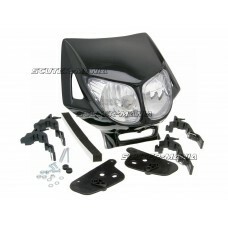 The universal Exura headlight surround by Polisport is made with durable gloss polypropylene, meanin.. 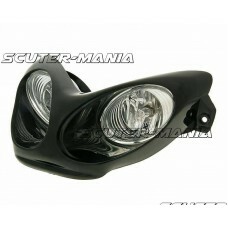 This Exura universal headlight cowling from Poli Sport is made with Durable Gloss Polypropylene, ens..